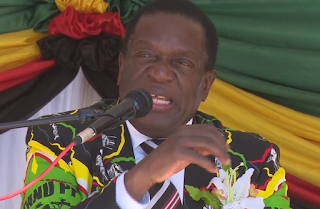 ZANU-PF Midlands Province yesterday endorsed the suspension of 43 members and recommended the expulsion of three accused of working with former Vice President Emmerson Mnangagwa. A disciplinary committee chaired by Zvishavane-Ngezi legislator, Cde John Holder, has been set to hear their cases. Those recommended for expulsion are Cde July Moyo, Cde Auxilia Mnangagwa (wife to former Vice President Emmerson Mnangagwa) and Cde Owen Ncube (Gokwe-Kana Member of Parliament). Among those suspended were Justice Wadyajena, (secretary for administration youth league), Wellington Magura (central committee member), Godwill Shiri (deputy provincial chairman) and Elinah Shirichena (Women’s League provincial chairperson), among others. Speaking after the provincial coordinating meeting, Midlands Provincial Affairs Minister, Cde Jason Machaya who is now the substantive chairman after the Politburo recently lifted his suspension, said the provincial leadership will also be accepting CVs for those aspiring to be elected into the Central Committee tomorrow before they can send them for recommendation to the Politburo. “As the PCC, we have endorsed 43 names that were brought forward both at provincial and district level for suspension. The province has also recommended the expulsion of three members for fanning factionalism in the province. A provincial disciplinary committee has been set up to hear the cases of 43 suspended members,” he said. Cde Machaya said the party was now preparing for the Central Committee elections and will be inviting CVs. Meanwhile, Cde Machaya said the province should now be working on uniting and mobilising people ahead of the 2018 election. Cde Machaya said he will work on uniting party members who were deeply divided along factional lines as the country prepares for elections. He urged party members to bury their differences.